Packed with absorbents, P.P.E. 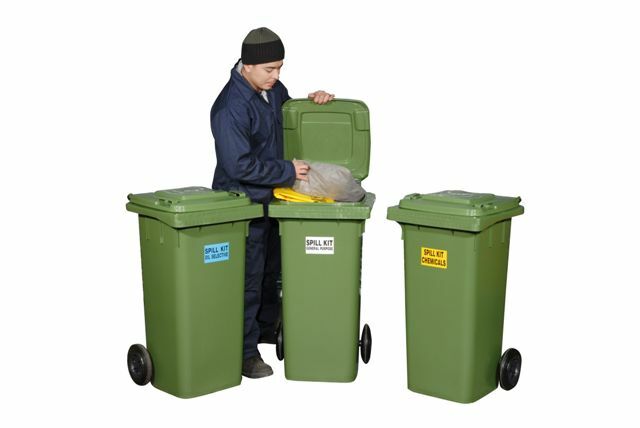 and plugging compound to help you respond quickly and effectively to a spill, this kit uses a 240ltr capacity wheelie bin with a colour coded label to help identify the contents type. 1 x pair gloves, 1 x pair goggles supplied in a 240ltr green wheelie bin.